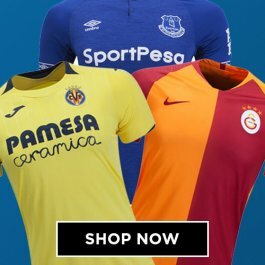 Buy the latest football shirts from all your favourite club and national teams. 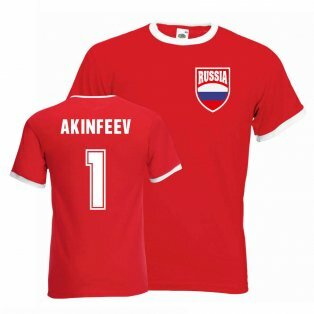 Check out our clearance range of football shirts with up to 75% off! Browse our selection of kids football shirts, mini kits and baby kits. Buy official Arsenal football kits and training wear. Official merchandise. Support the Blues with official Chelsea Adidas clothing and kits. Official Manchester United football shirts, training and fashion clothing. Official gear from your favourite teams including Barcelona & Real Madrid. Get official football kits from Bayern, Dortmund, Schalke & more! 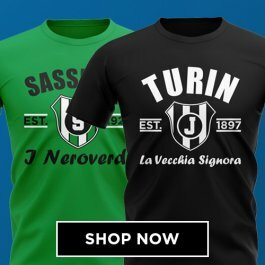 Authentic Serie A football shirts from Juventus, AC Milan, Inter & more. Official England football shirts, training kit and clothing from Nike. Get the latest Italy football kit, training and leisure range from Puma. Official Neymar kits, tracksuits, polo shirts & more Brazil Nike clothing. We were founded in 2004 and have shipped over 1 million orders. Buy from one of the world's oldest and most trusted football stores. Everything we sell is fully authentic and ships from our UK warehouse. Our kits are all official, licensed products and we don't sell fakes. We ship to every country in the world. We have a mix of shipping options depending on your needs, but can delivery next day to most of Europe, 2 days to USA and 3-4 days to the Rest of the World. If you aren't satisfied with your purchase, send it back within 30 days via our online return centre (excludes personalised items). We offer extended Christmas returns - all items bought from 1st November - 24th December can be returned until 31st January. You can get name and number printing on any kit available within our store, in the same style the players wear on the pitch. Choose ANY name - including your own. Classic Retro Shirt Style Cushions! 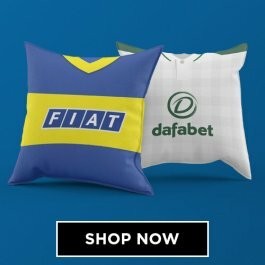 Brighten your home with our AMAZING retro football shirt style cushions for all your favourite club and national teams! Our mystery bags contain random items at up to 80% discount. Amazing savings to be made - well below website prices! 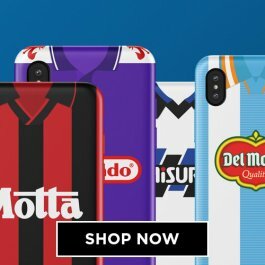 Over 500 Retro Shirt Designs for your mobile phone from club & international teams. 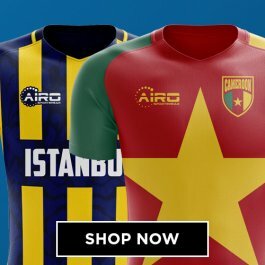 Check out our amazing, limited edition fan designed concept kits for EVERY country in the world and many major club teams! Shop our exclusive t-shirt range, with over 500 club teams featured in our range!